Properties in Derbys average 4.6 out of 5 stars. Stunning Views, Peace and Tranquility. Stone Cottage aptly named 'Miles Around'. Property 4: Stunning Views, Peace and Tranquility. Stone Cottage aptly named 'Miles Around'. Property 19: Characterful , pet friendly cottage ,sleeps 4 ,stunning views ,village location. Property 20: Lovely limestone cottage in the heart of the Peak District. Private two bedroom wooden lodge, set in its own 1.5 acre paddock. Property 22: Private two bedroom wooden lodge, set in its own 1.5 acre paddock. SUMMER DEALS! A Lovely Cosy Cottage In The Heart Of The National Forest. Property 24: SUMMER DEALS! A Lovely Cosy Cottage In The Heart Of The National Forest. Quaint quirky 1790s cottage, cosy yet spacious, with 2 bathrooms and Internet. Property 30: Quaint quirky 1790s cottage, cosy yet spacious, with 2 bathrooms and Internet. 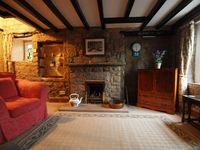 Cosy and comfortable 18th century cottage in traditional Peak District village. 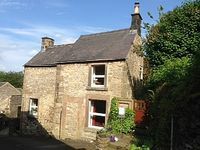 Property 45: Cosy and comfortable 18th century cottage in traditional Peak District village. Cosy and charming stone cottage in rural setting. Old fashioned country village cottage with modern amenities. Ideal for walking holidays with loads of routes highlighted by local government bodies. Great location for exploring by car also as all roads have wonderful scenic views. Manchester, Sheffield, Derby and Nottingham all easily accessible by road. Burchover has two pubs both serving food but beware, pubs in the area close on a Monday and Tuesday and don't open until 6pm. This may be because our visit was not in high season and hours may alter in the summer. Would we go again, absolutely. Would we stay at Lion cottage again, absolutely. Very nice little cottage, simple, clean and perfect location for walks in the area. Great village shop at the bottom of the hill.